Petrobras confirmed in August the presence of quality oil and gas in the BM-SEAL-10 block, in ultra-deepwaters in the Sergipe-Alagoas Basin. The block is part of the SEAL-M-499 concession. The discovery occurred during the drilling of 1-BRSA-1088-SES (1-SES-168) well, commonly known as Moita Bonita, in a water depth of 2,775 meters. 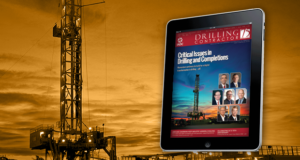 Located 85 km off the coast of Aracaju, Brazil, the well is 35 km southwest of the Barra accumulation, where the 1-SES-158 well was drilled, which revealed the first meaningful gas discovery in Sergipe-Alagoas ultra-deepwaters. 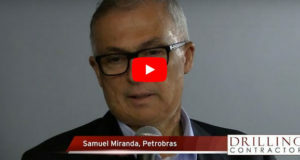 Also in this basin, Petrobras completed drilling of the extension exploratory well of Barra, the 3-SES-165 (Barra 1), located 30 km off the Moita Bonita well. Petrobras recently collected new oil samples from the Carcará prospect, on Block BM-S-8 in the ultra-deep waters of the pre-salt in the Santos Basin, which have proven a good 31° API oil quality. The well has also proven that the carbonate reservoirs carry outstanding porosity and permeability characteristics. Petrobras has also signed contracts with Sete Brasil, Odebrecht and Etesco to charter and operate nine drillships. They are to be built in Brazil with between 55% to 65% of Brazilian goods and services content. After construction, the rigs will be chartered by Petrobras for 15 years. This is the final phase in the process for ordering a total of 21 rigs from Sete Brasil. Delivery of the nine drillships is scheduled to commence in 2016, and they will be used mainly for drilling wells in the Santos Basin pre-salt region. 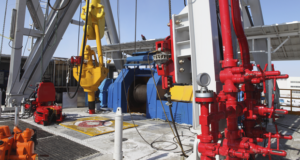 The rigs will be capable of operating in water depths up to 3,000 meters and drill wells up to 10,000 meters deep. Previously, Petrobras signed chartering and operation contracts with Sete Brasil, Queiroz Galvão, Petroserv, Odebrecht, Odfjell and Seadrill for six drillships and six semisubmersible platforms. 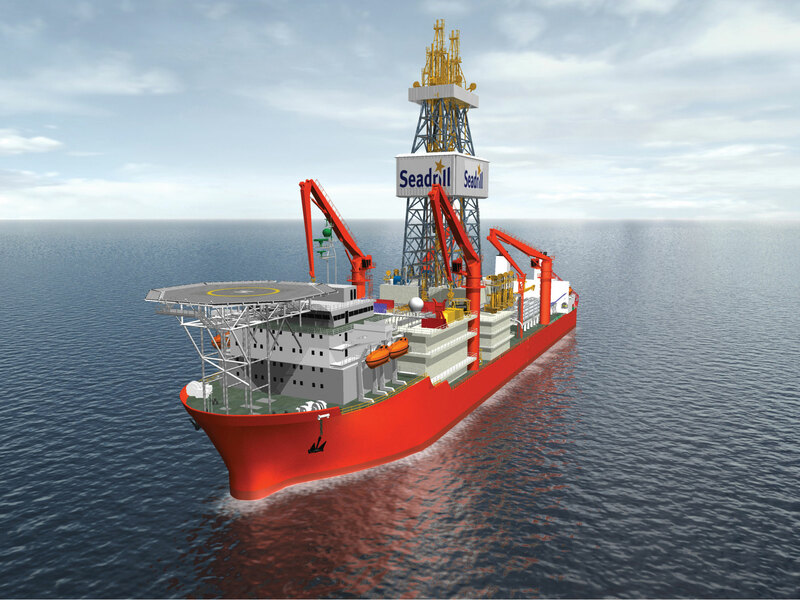 Keppel Offshore & Marine, through its subsidiary Fernvale, has secured contracts with Sete Brasil Participações SA for the design and construction of five semisubmersibles for approximately US $4.1 billion. The semis will be based on Keppel’s DSS 38E design targeted for the deepwater “Golden Triangle” regions of Brazil, Africa and the Gulf of Mexico. Deliveries are scheduled for Q4 2016, Q3 2017, Q2 2018, Q4 2018 and Q3 2019. Keppel O&M secured a contract in December 2011 from Sete Brasil to build one semi to the DSS 38E design, scheduled for delivery in Q4 2015. The rigs will be chartered to Petrobras for 15 years in the pre-salt areas offshore the southeast coast of Brazil. 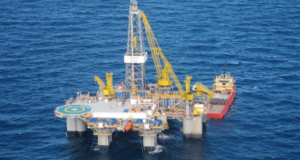 Three rigs will be operated by Queiroz Galvão Óleo e Gás SA, two by Petroserv SA and one by Odebrecht Óleo e Gás SA. 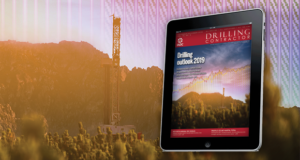 A major oil company has committed to contracts for Seadrill’s ultra-deepwater newbuild drillships West Auriga, West Vela and a third unit to be named later. 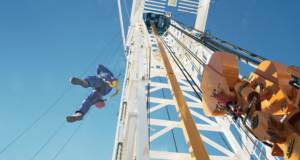 The three-rig package involves a combined 19 rig years and a potential contract value of US$4 billion, including mobilization fees. West Auriga and West Vela are under construction at the Samsung Heavy Industries shipyard in South Korea. The newbuilds will mobilize to the Gulf of Mexico upon delivery, which is scheduled for late February 2013 and May 2013. 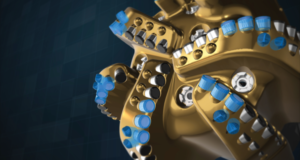 Each rig will be equipped with 1,250-ton load capacity, an active heave-compensated subsea construction crane and two 7-ram blowout preventers. Statoil and its partners Petoro, Det Norske Oljeselskap and Lundin have discovered oil in the Geitungen prospect on Utsira High in the North Sea. 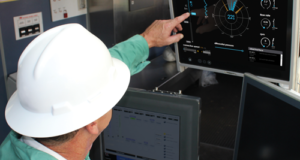 Exploration well 16/2-12 drilled by Diamond Offshore’s Ocean Vanguard semi has proven a 35-meter oil column in a high-quality reservoir dating from the Jurassic period. Statoil estimates the volumes in Geitungen to be between 140 million and 270 million barrels of recoverable oil equivalents. Separately Statoil has made a significant gas and condensate discovery in the King Lear prospect in the southern part of the Norwegian North Sea, along with partner Total E&P Norge. 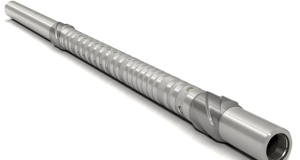 Exploration well 2/4-21, drilled by Maersk Drilling’s Mærsk Gallant, an ultra-harsh environment jackup, in production licenses 146 and 333, has proven a 48-meter gas/condensate column in the main bore 2/4-21 and an additional 70-meter gas/condensate column in the sidetrack 2/4-21A. Statoil estimates the total volumes in King Lear to be between 70 million and 200 million barrels of recoverable oil equivalent. 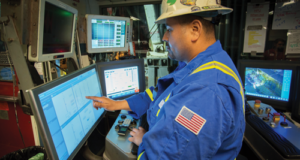 As King Lear is a high-pressure, high-temperature well, special attention is given to ensuring safe drilling operations. Following the discovery in the King Lear Prospect, Maersk Drilling signed a contract with Statoil for the Mærsk Gallant for work in the Norwegian North Sea for two years, with an option for one additional year. The value of the firm contract is US $284 million. 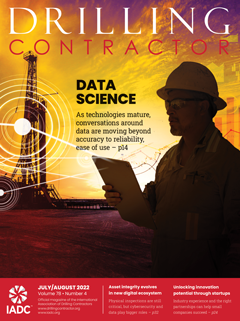 Commencement of operations will be in direct continuation of the present contract with ConocoPhillips, which ends in Q2 2014 or Q2 2015, depending on whether ConocoPhillips declares a one-year option. 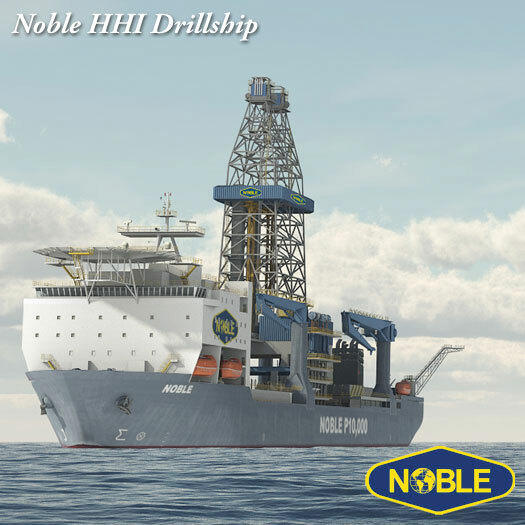 Noble Corp has entered into a three-year drilling contract with Anadarko Petroleum Corp for the Noble Bob Douglas, one of Noble’s new ultra-deepwater drillships under construction at the Hyundai Heavy Industries (HHI) shipyard in Ulsan, South Korea. The drillship, which is being constructed on a fixed-price basis, is expected to be utilized primarily in the Gulf of Mexico. Delivery is expected in Q4 2013. The contract is expected to commence following mobilization to an initial operating location and client acceptance. Revenues to be generated over the three-year term are expected to total approximately US$677 million. With the award of this contract, two of the company’s four ultra-deepwater drillships under construction at HHI are under contract. 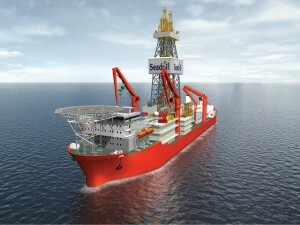 The remaining two uncontracted drillships are scheduled to be delivered from the shipyard in 2014. Eni has signed three production-sharing contracts, awarded by the government of Kenya, for the acquisition of exploration blocks L-21, L-23 and L-24, marking the company’s entry the country. The blocks are located in the deep and ultra-deepwaters of the Lamu Basin, off the coast of Kenya. The initial exploration phase of the three blocks, which will be operated by Eni and cover an area of more than 35,000 sq km, will consist of the execution of a seismic acquisition program. Eni’s entry into Kenya reinforces its presence in the exploration of the frontier basins of East Africa, which has recently led to the discovery of significant volumes of natural gas in the deep waters of Mozambique. 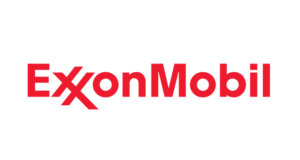 ExxonMobil Corp’s subsidiary, Esso Exploration Angola, recently started production from the Kizomba Satellites Phase 1 project offshore Angola. 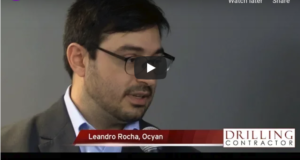 The initial phase is expected to produce 100,000 bbls of oil per day and recover a total of approximately 250 million bbls from the Mavacola and Clochas fields, 95 miles offshore Angola in water depths of approximately 4,500 ft. Phase 1 of the project includes 18 wells with subsea tiebacks to the existing Kizomba A and B floating, production, storage and offloading (FPSO) vessels, optimizing the capabilities of on-block facilities to increase production levels without requiring an additional FPSO vessel. Approximately $1.5 billion has been invested in local goods and services, including contracts for fabrication, logistics support and training and development of Angolan personnel. “Nearly 100% of the topsides and subsea equipment were fabricated in Angola,” said Stéphane de Mahieu, Esso Angola managing director. 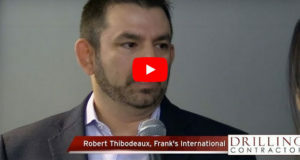 Tullow Oil recently intersected oil and gas condensate in a Turonian turbidite channel system of the Wawa-1 exploration well in the Deepwater Tano license offshore Ghana. Wawa-1 encountered 20 meters of gas-condensate pay and 13 meters of oil pay in turbidite sands. Samples show the oil to be good quality between 38° and 44° API. The well was drilled 10 km north of the Enyenra-3A well, testing the previously undrilled, updip portion of the license. Pressure data shows that it is a separate accumulation from the Tweneboa, Enyenra and Ntomme fields. Atwood Oceanic’s Atwood Hunter semisubmersible drilled the Wawa-1 well to a final depth of 3,322 meters in water depths of 587 meters. BP Egypt has made gas discoveries in August in the Taurt North and Seth South in the North El Burg Offshore Concession, Nile Delta. These are the fourth and fifth discoveries made by BP in the concession, following Satis-1 and Satis-3 Oligocene deep discoveries and Salmon-1 shallow Pleistocene discovery. 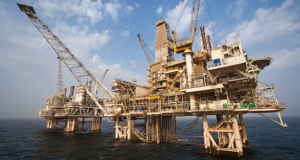 The two wells were drilled by International Egyptian Oil Company on behalf of BP, using Saipem’s Scarabeo IV rig in water depths of 110 and 78 meters, respectively. 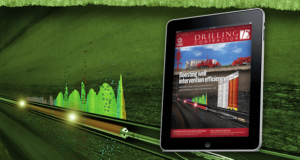 Wireline logs, fluid samples and pressure data confirmed the presence of gas. Chevron’s Australian subsidiary has discovered natural gas in the Greater Gorgon Area of the Carnarvon Basin, offshore Western Australia. The Pontus-1 exploration well encountered approximately 97 ft (30 meters) of net gas pay. The well is in the WA-37-L permit area in the Greater Gorgon Area gas fields, approximately 40 miles (65 km) northwest of Barrow Island. The well was drilled in 690 ft (210 meters) of water to a TD of 16,581 ft (5,054 meters). “This discovery represents our 14th discovery offshore northwestern Australia since 2009 and will support potential future expansion opportunities for the Gorgon Project,” Melody Meyer, president, Chevron Asia Pacific Exploration and Production, said.